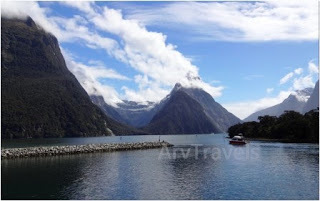 Milford Sound is a fjord, a days trip from Queenstown New Zealand. 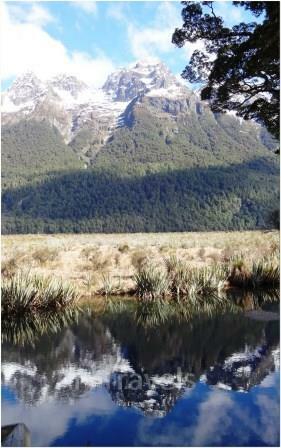 Rudyard Kipling called it the eighth wonder of the world. 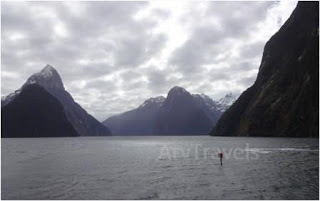 The natural beauty of Milford Sound is breathtaking. 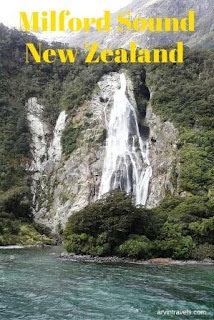 Queenstown is a small town also knows as the adventure capital of the world, there are plenty of places offering tours. 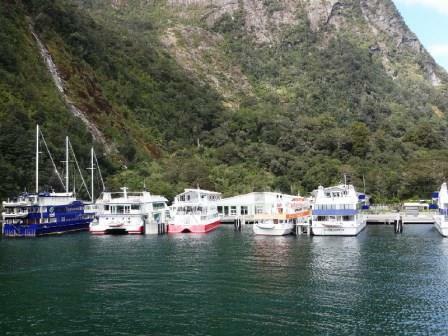 This was the first stop, beautiful lakeside town, on the shores of the second biggest lake in New Zealand Lake Te Anau, we had breakfast here, there is a pie shop near the bus stop, they are more like Marie Callender Pies, and made fresh. 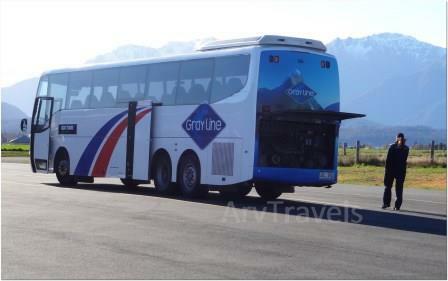 Mirror Lakes are lakes on the road from Te Anau to Milford Sound, most tour operating buses will stop here, most drivers will also give a commentary along the way. 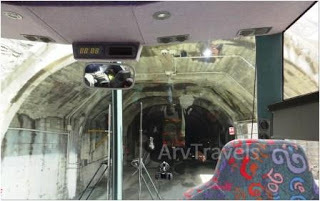 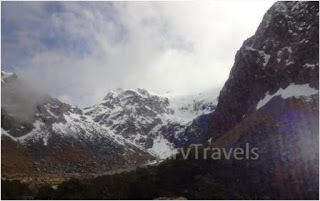 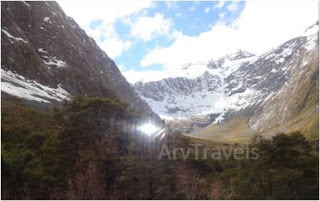 I was there in October, Homer Tunnel in the Fiordland, Wiki page on the tunnel, Picture Below taken from inside the Bus, when taking tours, try to sit in the front seats. 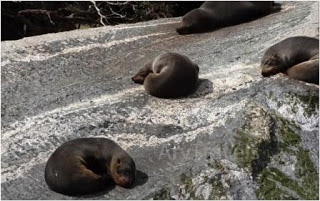 Milford Sound is 15 Kilometers inland from Tasman Sea, and the Ferry ride is about 2 hours. 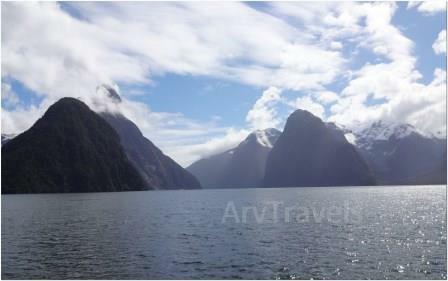 In October it was not too touristy, though Milford Sound is one New Zealand's most popular tourist Destinations. 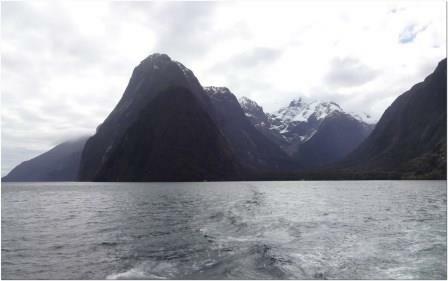 Pictures taken from the Ferry. 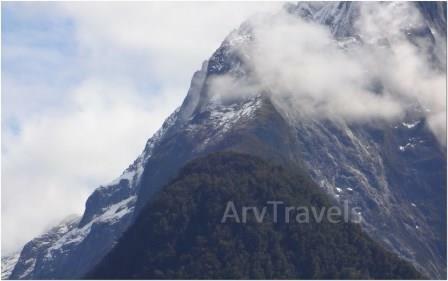 Video I made of Milford Sound with Views of the Waterfalls, do watch and leave me some comments. South Island of New Zealand has an amazing variety of attractions and it is little wonder this is a top destination for a holiday.